Pork shoulder is one of the most flavoursome parts of the animal. Our pork is slow reared giving it fantastic flavour and produces the best crackling you have ever tasted. If slow roasted until the meat pulls apart the results are truly stunning. 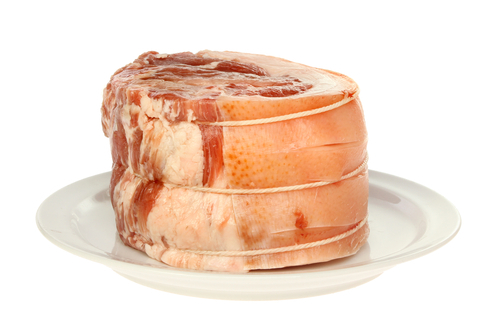 A wonderful rolled boneless pork shoulder is just the meat you need to make Christmas special this year. Boneless shoulder pork is becoming very popular and its no wonder when it tastes as amazing as the pork shoulder we stock! All joints are fully boned rolled and scored ready for the oven.